Facial fillers are used to maintain volume in the face, and thus restore (or prolong) a youthful, rested, healthy appearance. Sometimes referred to as ‘collagen replacement’ or ‘soft tissue enhancement,’ facial filler injections take only minutes to perform and the cosmetic results are immediate. Your injection specialist injects the selected facial filler at sites where natural fat has depleted, the most common being the folds next to the nose (nasolabial folds), the lines running from the mouth toward the chin (marionette lines), sunken cheeks and thinning lips. The new generation of facial fillers is very advanced and the creation specific products (Juvederm® and Voluma®) for specific areas of the face which last much longer than in the past. However, most facial fillers are still temporary, and depending on the staying power of the product (as well as the reaction of the patient) touch-ups will eventually be required. •Facial fillers instantly plump up nasolabial folds, marionette lines, sunken cheeks, thinning lips and soft jaw lines. Facial fillers can also be used to correct scars and deeper wrinkles. •No prep time is required with facial fillers, though the patient may request topical numbing cream and cold ice packs prior to the procedure. •Bruising may occur at injection sites. Patients should avoid aspirin and ibuprofen prior to procedure, and take herbal Arnica and Papaya post procedure. 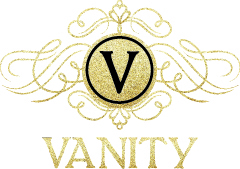 •All facial fillers used at Vanity are safe, long lasting and FDA-approved. •Facial fillers, along with Botox, are used in combination for a very quick, non-surgical, facelift! •Don’t want surgery or downtime? •Looking for non-surgical alternatives to enhance the definition to your facial features? •Seeking to reduce deep facial folds and wrinkles? •Do you have sunken cheeks or tear troughs? •Want to enhance the shape of thinning lips? •Replenishes lost volume to many facial areas including the lips. •Smooths facial creases, reducing fine lines and wrinkles. •Procedure typically takes about 30 minutes. •You will see optimal results within a few days of treatment, and results can last from 6-12 months or longer. •JUVÉDERM VOLUMA™XC results can last up to two years. •May have mild swelling or bruising at the injection site. If you are interested in learning more about our non-surgical facial rejuvenation options, please contact our office today today.